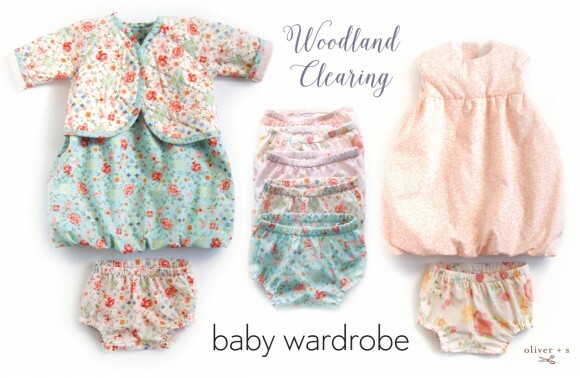 What do you get when you mix Kid’s Clothes Week, the Woodland Clearing fabric collection, and a relative having twin girls? The perfect combination, and here are the darling results, if I do say so myself! 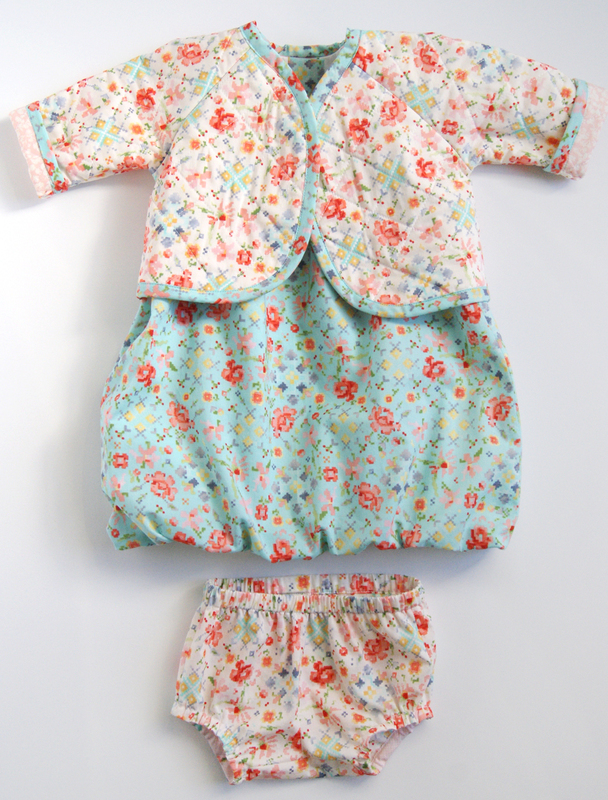 I was busy sewing up a storm last week making 0-3 month sized baby clothes for a gift. The complete collection turned out to be: five pairs of bloomers, one bodysuit, one jacket and a couple of adorable Bubble dresses thrown in for good measure. Everything was sewn up by the pattern, except for one little tweak on the Lullaby Layette jacket. I quilted the fabrics first before assembling it and I love the results! This was my first time sewing up these three patterns and I learned something new with each one. 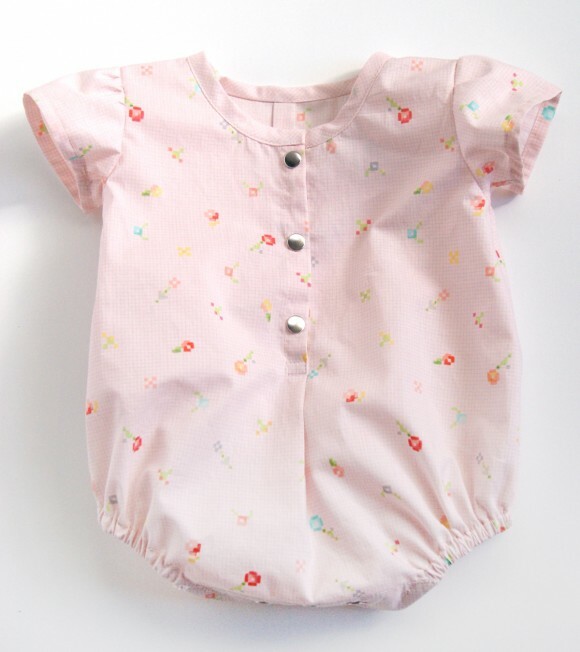 The sewing went fine for every item, it’s just that there was something special about the Bubble dress and Lullaby Layette jacket with their ease of sewing and cleverness. 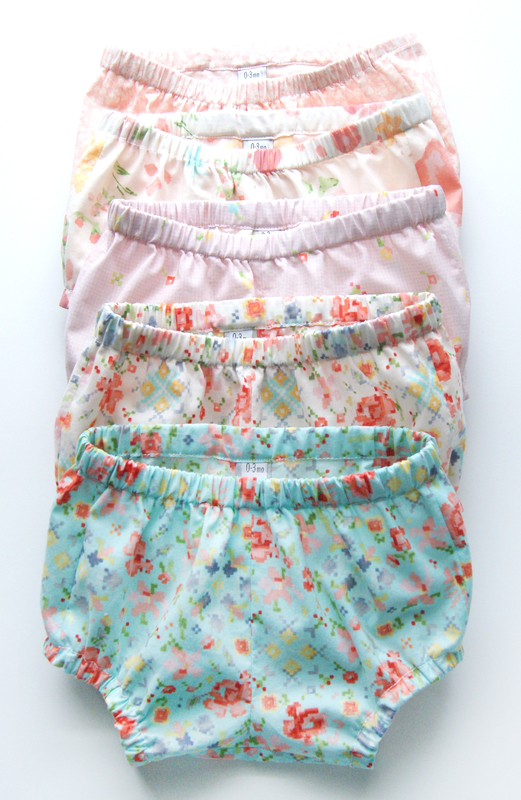 I thought it would be nice to have some extra pairs of bloomers to be able to mix and match with the two Bubbles dresses. When sewing up the Lullaby Layette bodysuit, I tried these snaps and the snapsetter tool for the first time. I have to admit I was a little nervous, but I followed the snapsetter tutorial and it worked like a charm! I will never hesitate to use these snaps on sewing projects in the future. I’m really pleased with the baby gifts I sewed, everything goes so well together and the cotton lawn will be soft and gentle against baby’s skin. I’ll leave you with a photo of my personal favorite ensemble. Have you done any baby sewing yet? Share your Oliver + S baby sewing in the Flickr group or tag it with #oliverands on Instagram so we can all see. If you make something with the Woodland Clearing fabric collection be sure to tag it with #woodlandclearingfabric. They are absolutely gorgeous. Thank you. Wow, they will be such parents! Almost makes up for the shock of two at once! Perfect baby girl clothes Rachel. Sew very cute!! Did you follow the fabric requirements as suggested or did you use a lot less? Completely adorable! 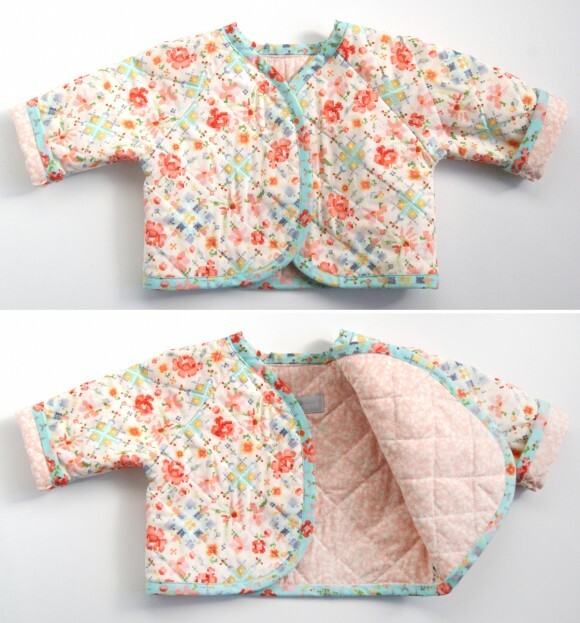 And quilting the jacket is the most perfect idea! The quilted jacket looks fabulous!! I purchased the Lullaby Layette pattern just for making baby gifts and never regret it – I've used it so much. These are just gorgeous! I’ve just purchased some of this fabric to start sewing up for our new baby girl due in a few months! Beautiful inspiration! Beautiful! Where did you get your “0-3 Month” tags?